The $150 Witcher 3 Collector's Edition is now available for preorder. 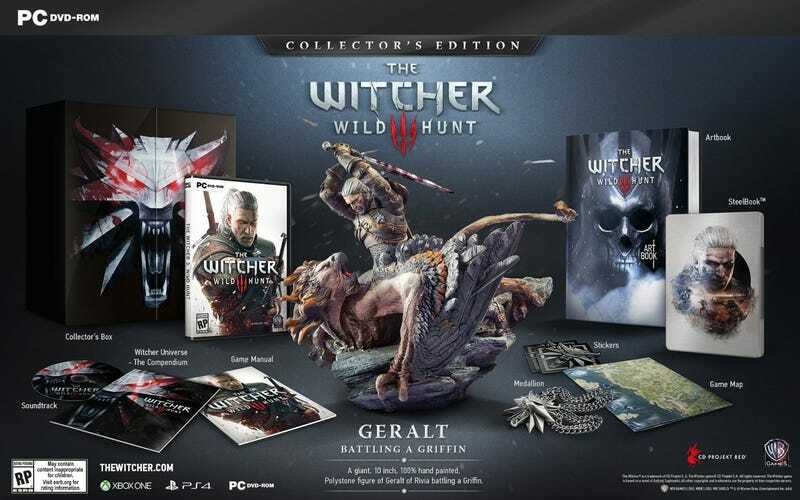 It includes an artbook, medallion, stickers, statue of Geralt battling a griffin, and more. The Titanfall Collector&apos;s Edition is huge.